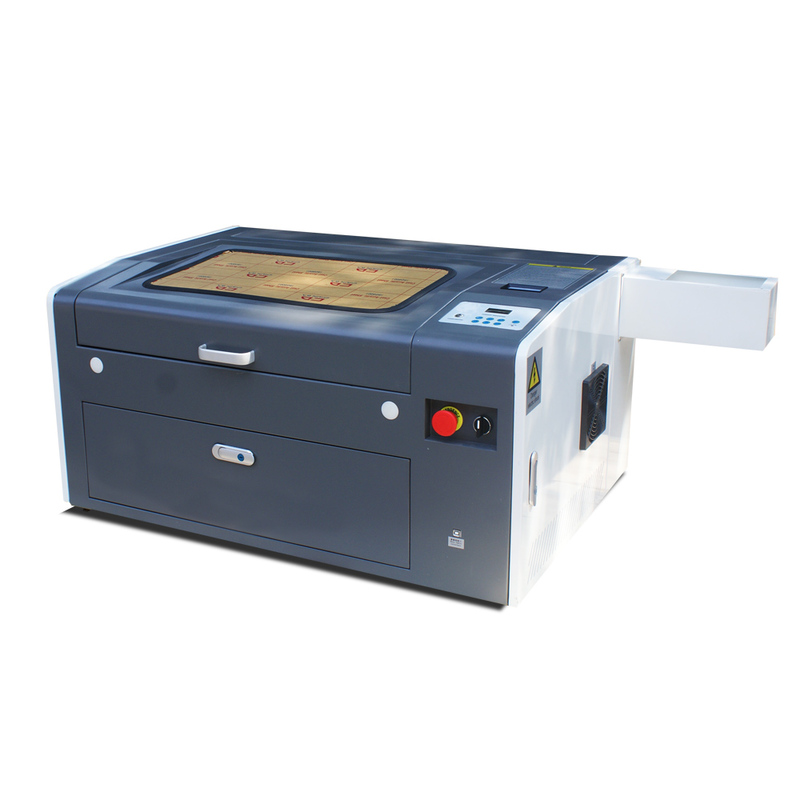 Our laser engraving machine can engrave and cut various Non-metal materials. With high resolution laser head-good quality and long lifetime. Air pump/Compressor-cooling the laser head to avoid the materials being burned. Water pump-used for cooling laser tube to protect it has long life. 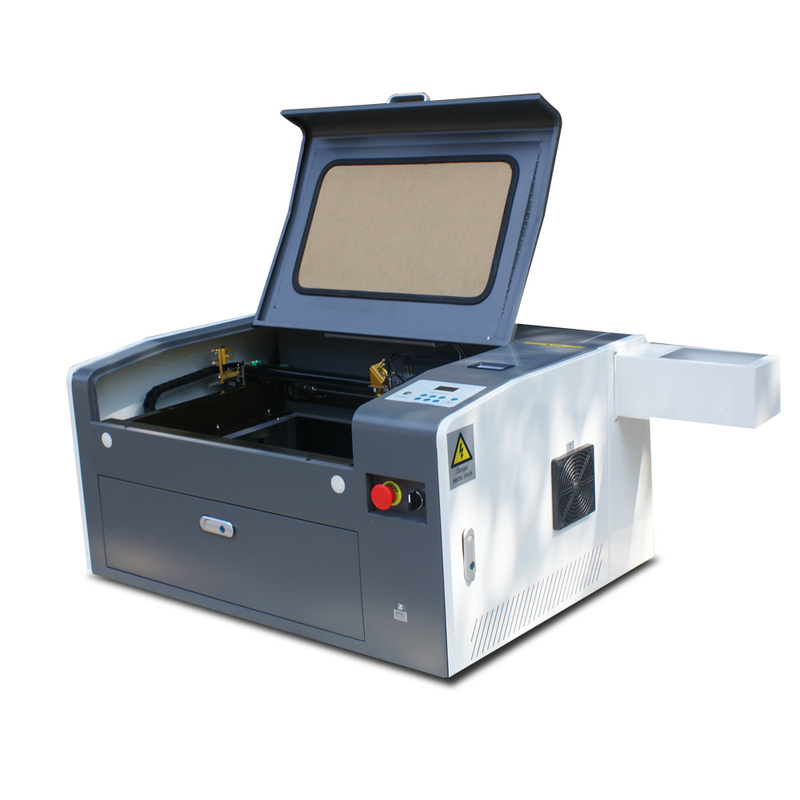 Equipped with high-speed DSP control system, can work offline, with multicolor cutting and grade-engraving function, higher engraving and cutting precision,meet the requirments of different industries. Built-in 256M memory,can store multiple files at the same tine, to support power-fail data retention of permanent document. 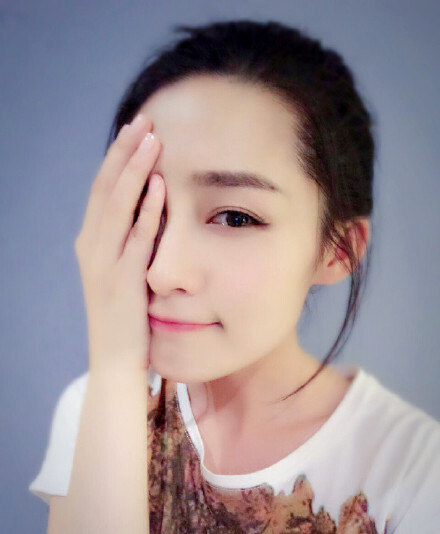 Support various graphic form of HPGL, BMP, GIF, JPG, JPEG, DXF, DST, AI. Extensive material processing, smooth cutting edge, does not need to polish, less waste. The depth of the carving can be adjusted automatically, high precision. Imported focus lens and reflective mirrors with high precision,high quality CO2 laser tube can up to 4000-5000 hours with big working capacity every day. Front & Back feeding can spread the processing space. LCD control panel of large screen with easy operation. Water cooling system, water pump can cool laser tube, and chiller optional. Nonmentallic materials such as Cloth, leather, wool, paper, rubber, plastic, wood & bamboo, plexiglass, acrylic, ceramic, title, marble, jade, etc. 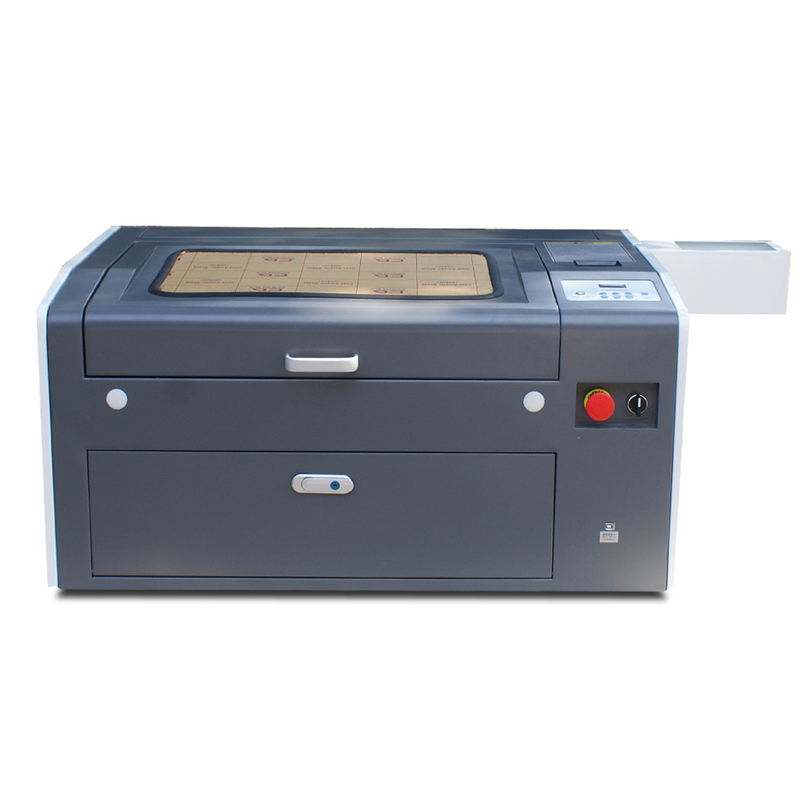 This machine is suitable to art gift industry, wooden and bamboo product industry , advertisement decoration, building upholster, garment industry, computerized embroidery, cloth toy, package & plate making, construction model industry, paper product, etc. One years warranty for machine. English technical to door service. English manual and Video CD for machine using and maintenance.We offer free training in our factory, welcome to visit and learn more about our machines. Free accessories: Software ,manual, book, cd videos, USB control. 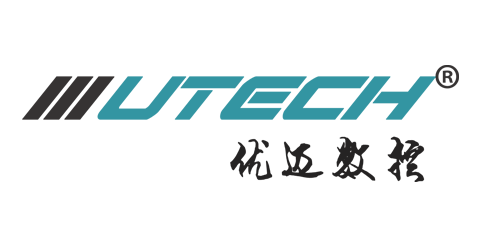 For free sample making/testing, please send your samples or products CAD Graphics to our company in China. Try before you buy. 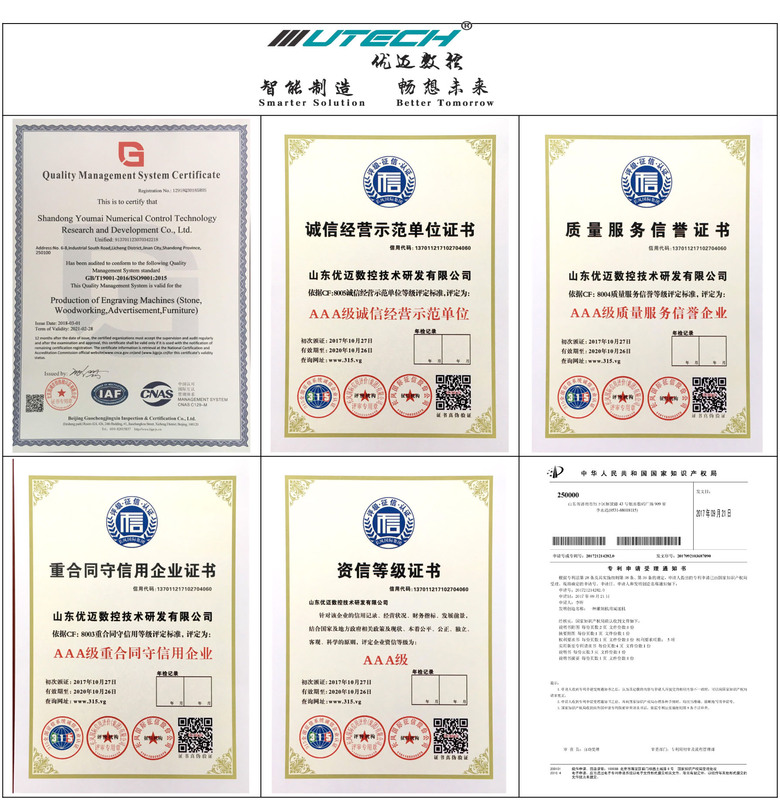 According to customer`s product processing requirement, we can design the unique solution that supports higher manufacturing efficiency and better processing quality for customer. A. 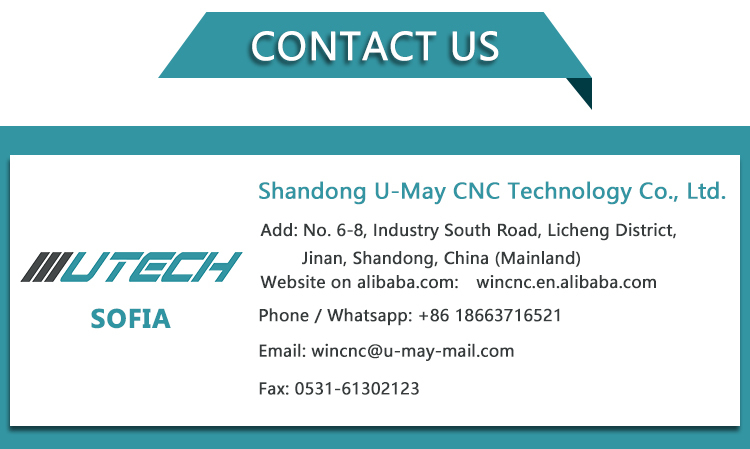 We will supply the machine with training video and user's manual in English for installing, operation, maintenance and trouble-shooting, and shall give technical guide by e-mail, fax, telephone/Skype/Whatsapp and so on, when you meet some problems of installation, using or adjusting. B. You can come to our factory for training. UTECH will offer professional guide. Direct and effective face-to-face training. Here we have assembled equipments, all sorts of tools and testing facility,we will also provide accomadation during training period. Training Time: 1-10 working days. C. Engineers service machinery overseas. 1. Our Wooden Case is after fumigation treatment.Needn`t timber inspection, saving shipping time. 2. All the spare parts of the machine were covered by some soft materials,mainly using Pearl Wool. Avoiding all damages that could happen in the delivery process.Then we`ll covered plastic wrap out it tightly,make sure intact of the covered soft materials,also avoiding Waterproof and rust proof. 4. The bottom of the wooden case has firm iron jack, convenient to Handling and transport. 1. What's the function for co2 laser? 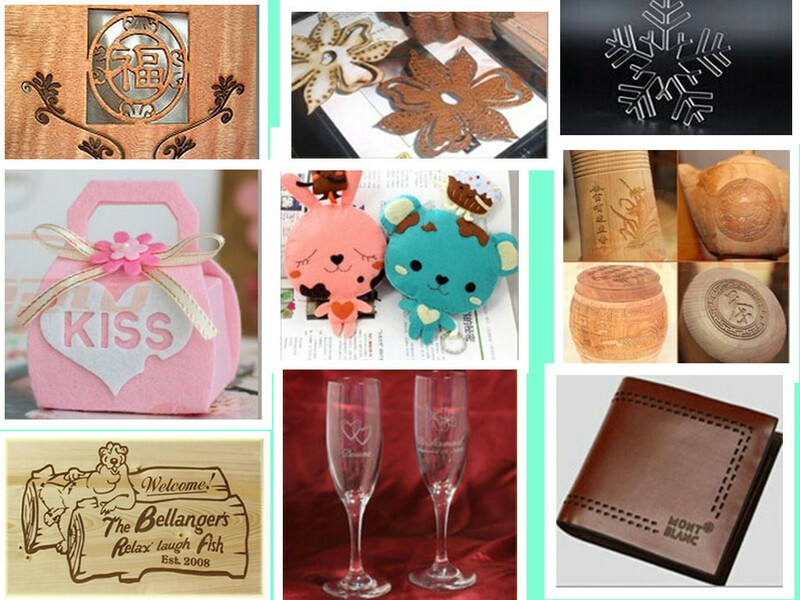 CO2 Laser is used to engrave or cut for almost all non-metal materials like Acrylic, Wood, Paper, Fabric, Leather etc. 2. How much thickness shall we cut? 3. How to distinguish laser tubes with different powers and applications? 3) The bigger a laser tube power is, the deeper the machine can cut, but its light spot is bigger. So, it is better to use a machine with a low-power laser tube to engrave, such as 40W, 50W or 60W. Please advise us the follow questions,so that we can recommended you the most suitable machine modle. 1. 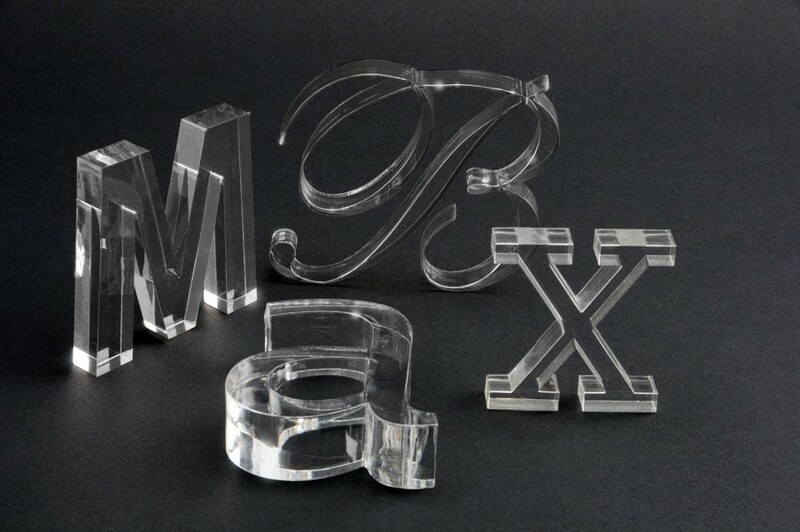 What meterials do you need to engrave or cut? 2. Is that meterial in roll or in sheet?What is the thickness? 3. After engraved/cut,what will the material used for? 4. Are you an end-user or reseller? Right now,send your inquiry details in the below for free sample. 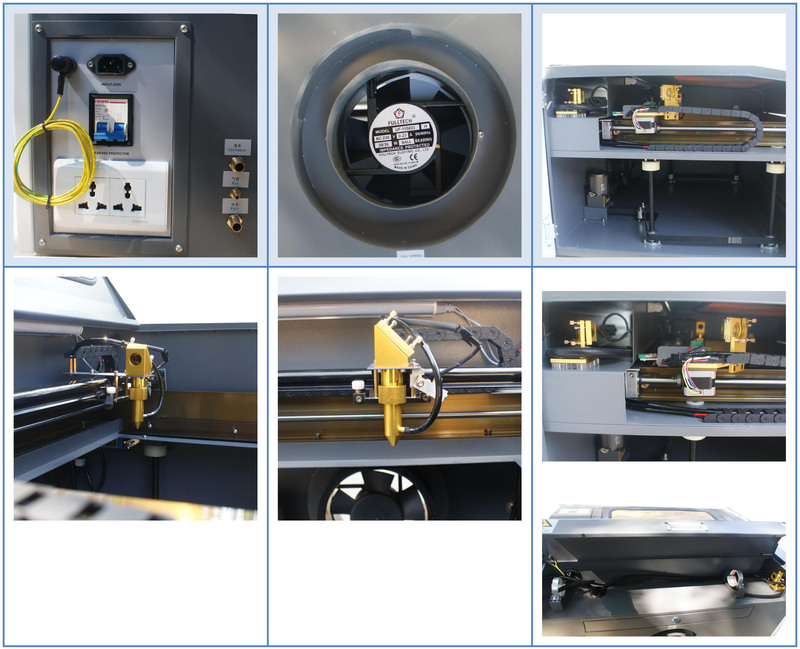 Looking for ideal Co2 Laser Engraving Machine Manufacturer & supplier ? We have a wide selection at great prices to help you get creative. All the Laser Engraving Machine Price are quality guaranteed. 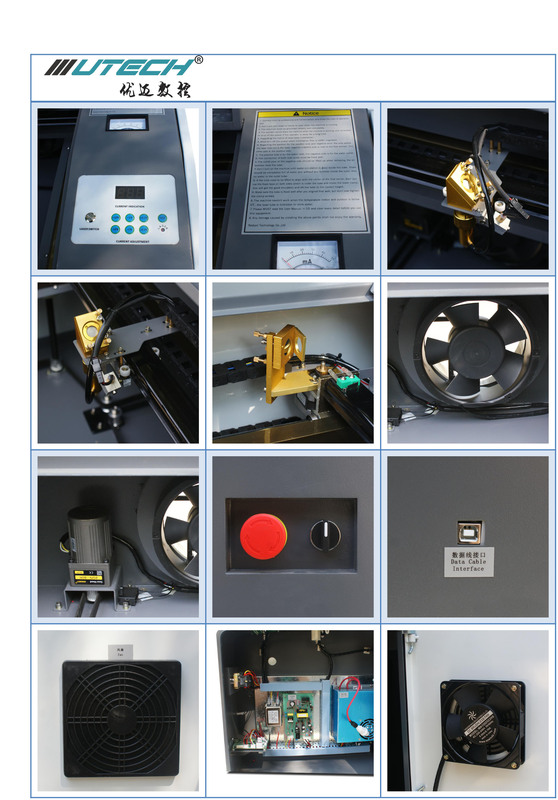 We are China Origin Factory of Desktop Laser Engraving Machine. If you have any question, please feel free to contact us.